Whether America should pay reparations for slavery is a subject that intensifies the debate on race. But the question implies something untrue − that no reparations have yet been paid. 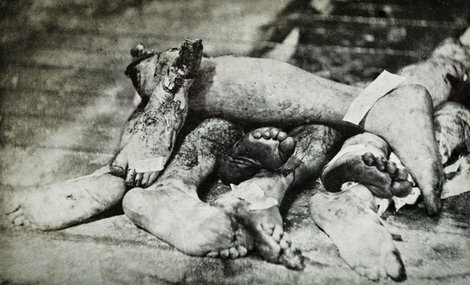 The total death toll for both sides in the Civil War was about 618,000. About one-third of a million white men and boys died fighting for the Union. This does not include African American soldiers who died, nor does it include Confederate deaths. That is, this total does not include those who died fighting for their own freedom, or those who died fighting for the Confederacy. It includes only those white men and boys who died fighting for the Union ‒ and thereby ended slavery. This is not merely theoretical to me. When I was a boy, we lived in the small town of Lisbon, North Dakota. Nearby was the Old Soldiers Home, now the North Dakota Veterans Home. One day my parents took me there to meet Colonel John W. Carroll. He was an ancient man, or so he appeared to me. He had been a teenaged drummer boy in the Union Army, and was now an honorary colonel. I have no idea what he said to me, but I vividly recall his white beard and his dignified demeanor. And I recall my parents emphasizing to me what he had risked his life for ‒ freedom, including my freedom. Though I did not realize it at the time, I was a very lucky child. My rich heritage was taught to me. Today’s children are often not so lucky. It is said that life is not a sprint but a marathon. This is incorrect. Life is a relay race. Past generations ran their laps as best they could, then handed the baton to us. Are we doing the same? Are we handing the baton to the next generation, as well as Colonel Carroll handed it to me? Or are we fumbling the pass and dropping the baton in the dirt? 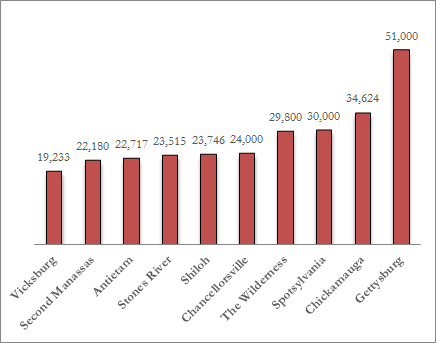 Look at total deaths (Union and Confederate) in each of the major battles. 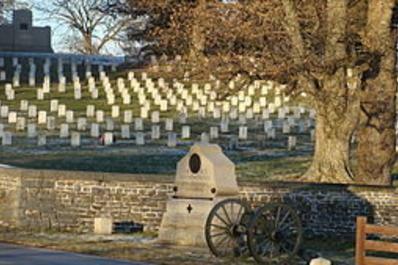 Approximately one in four Union soldiers who served died in the war. The total population of the Union was about 20 million. One-third of a million deaths represented an enormous loss of life. Look at the total battle deaths in all of America’s wars. The Civil War was by far our bloodiest war. In addition, all serious arm or leg wounds were treated by amputation. Veterans on crutches or with pinned-up sleeves were a common sight on American streets for many decades. 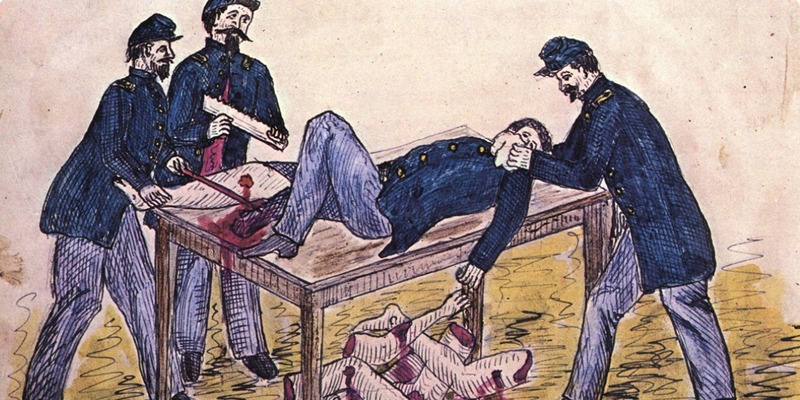 In all too many cases, the battlefield surgeons ran out of ether and chloroform, and amputations were done without anesthesia. 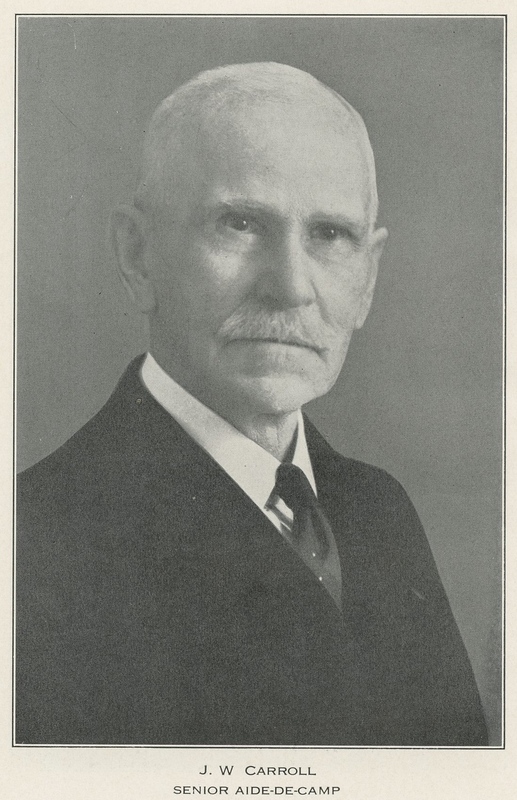 The mortality rates for amputations ran from 28% to 52%. Conditions in field hospitals were, by modern standards, appalling. But if all those severed limbs, and all the blood that soaked into the earth from the dead and wounded, do not constitute reparations, nothing ever could. Yet these facts are rarely mentioned when the subject of reparations is raised. Why? Are the dead and wounded unimportant? Or are they merely inconvenient? Perhaps we have watched too many televised trials and seen famous, high-priced lawyers make mountains of evidence “disappear” to get their prominent clients acquitted. Perhaps we have watched too many politicians posturing theatrically for the media, while accomplishing nothing even remotely useful for anyone but themselves. Perhaps we have watched too much TV and seen mousse-haired “talking heads” shamelessly slanting the news, while omitting inconvenient facts. We may have gained the impression that the truth is not something external that we try to discover, but instead is something we fabricate to suit our own agenda. We may have gotten the notion that reality is like a buffet, where we can select what we like and ignore what we don’t. We may have gained the impression that, like children, we can bypass the veggies and load up on desserts. No, reality is like a sit-down dinner. We take what we are handed and make the best of it. Slavery was universal, on all continents, among all peoples. Slavery was unexceptional. What was exceptional was the struggle, often bloody, to abolish slavery. The international slave trade was abolished largely through the efforts of the British Royal Navy. Slavery in America was abolished through the efforts of the Union Army and Navy. Revealingly, slavery persisted elsewhere. It persisted in Brazil until 1888, and it persists today in some Muslim and African nations, as well as everywhere under the name of human trafficking. But what percent of American university graduates believe that slavery was a uniquely American sin? It would be depressing to discover the answer. Reparations? They have already been paid. In blood.